The slow, painful demise of Sears is a mystery to me. The very first word I knew how to read was “Sears.” I live in a home, built in 1901 by the Sears, Roebuck Corporation as a demonstration of what would be possible for “Middle Class America.” The third floor of the home was especially designed to house a live-in maid. How much the definition of “middle class” has changed over the past 120 years! However, here we are, 117 years after Sears and Roebuck claimed that the middle class consumer could affordably buy “anything” from their catalog, everything from horses to houses! Sears, throughout my life was a venerable retail institution, and has been for the better part of the last century. Like many retailers, they made mis-steps entering the twenty first century, but by no means should that have been their death knell. 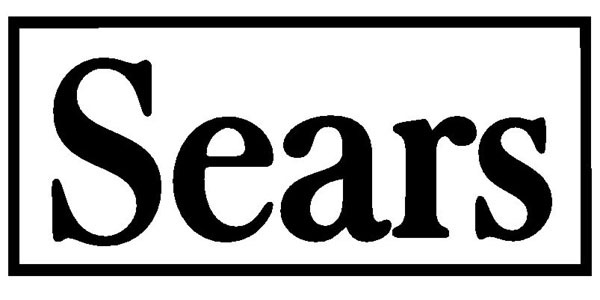 Sears built its empire (which at one time was vast, operating more than 4,000 stores, showrooms, and catalog pickup locations across the country) on catalog sales, an invention of the Montgomery Ward Corporation and of the Larkin Soap Company, both of which were more established, larger, and had a better chain of logistics than the burgeoning Sears and Roebuck. No matter, Sears and Roebuck would eventually absorb the majority of the Larkin Soap Company business when Larkin finally shuttered in the midst of World War II by catering to the price-conscious, quality-minded, middle-class consumer. At the time the middle class was the largest segment of the American economy and those who were too poor to be part of the middle class aspired to be part of the middle class. Over the post World War II industrial and economic boom, Sears grew and prospered. The re-invented post-war retail and adapted to the growth of Suburban America by capitalizing on catalog sales and in-store pick-up and home delivery. In a short-sighted and odd move, Sears decided to ax the catalog in 1993, citing “modern trends in retailing.” For the company, this move marked the beginning of the end. 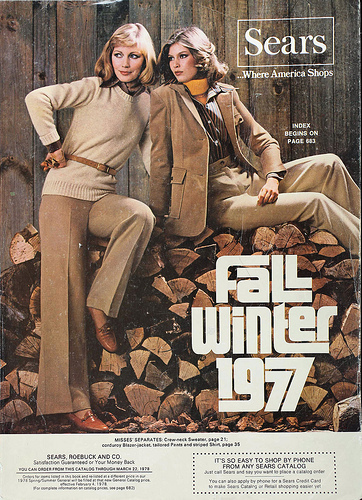 Imagine if Sears, rather than terminating the legendary catalog had instead moved it online? Sears would likely be what Amazon is today and I wouldn’t be writing this article. Instead, today we begin to write the epitaph of Sears. Its days are done, and the pages of financial newspapers are filled with heartbreaking stories of loyal associates who have been members of the Sears family for decades. Undoubtedly, just like their Sears Canada cousins, they will be screwed and robbed by Eddie Lampert and his crooked cronies when they roll up the rug after pillaging Sears for—literally—all it was worth. I wish them all the best and pray that they receive the due they are rightfully owed. The tragic demise of the entire Sears empire is more than just a footnote on corporate mismanagement, but a case study in systemic and organized corporate theft. Eddie Lampert—a hedge fund manager from Connecticut—should be indicted for stealing millions in intellectual property and assets from what was once a powerhouse in American retailing and purposefully dismantling a legendary retailer. I don’t need to write much about what a crook Eddie Lampert is, because the press has covered his misdeeds, quirks, and tyrannical style in spades. He is truly a Jesse James of the American retail scene. However, while the death of Sears marks just one more legendary American department store name to join the ash-heap of retail history along with Montgomery Ward, The Bon Ton, Lazarus, Marshall Field, Abraham and Strauss, Adam Meldrum and Anderson, Sibley’s, Hill’s, The Bon Marche, Gimbel’s, and legions of others… this time its different. Many of these retailers were regional and the few national names to bid an early departure left behind other national retailers to pick up the slack. Now, we have precious few national names (JCPenney and Macy’s, both of which are also struggling) remaining. And this time, it’s different, because we are different. Sears was responsible for the iconic launch and growth of so many brands—Allstate Insurance, the Discover Card, Craftsman tools, Kenmore appliances, and so many others that were in demand by a burgeoning, and value-minded middle class. And the demise of sears marks not only the death of a retail giant—but also the death of entire portions of the retail and economic sectors and, perhaps most sadly, the middle class consumer. True, the multi-billion dollar hedge fund manager from Connecticut badgered, outmaneuvered, and cashed in on an institution beloved by the middle class, but he also nailed the final nail in the coffin of the American middle class. And maybe that’s the point: Sears is dead because the middle class is dead too. There is no more Sears because there is no more middle class. Those who identify as poor or lower middle class don’t aspire for a new Kenmore vacuum cleaner, or a set of fine Craftsman screw drivers, they long for a Kardashian-esque life filled with garbage made in sweatshops by Prada, Coach, Michael Kors, and Jimmie Choo. Perhaps the “modern trends in retailing” Sears noted in 1993 were not the slow change in retail sales cycles or the upcoming march to online shopping, but truly the fact that their core customer—the American middle class—was dying. And maybe Eddie Lampert knew that the once largest-sector of the American population was brain dead too, enamored instead with ersatz wealth, and that no one would notice as he pillaged an American institution. The last act hasn’t played out yet, and I certainly hope the financial regulators and watchdogs notice this disgrace. If Sears should fall without a sound from the middle class, the future of the American economy is firmly in the hedge fund managers as we march toward an untenable and worrisome future. Previous Previous post: New York Times: Forget the Suburbs, It’s Country or Bust For some New Yorkers, being priced out of the city means it’s time to move to the woods. Next Next post: Are We Watching the End of the Monarch Butterfly?